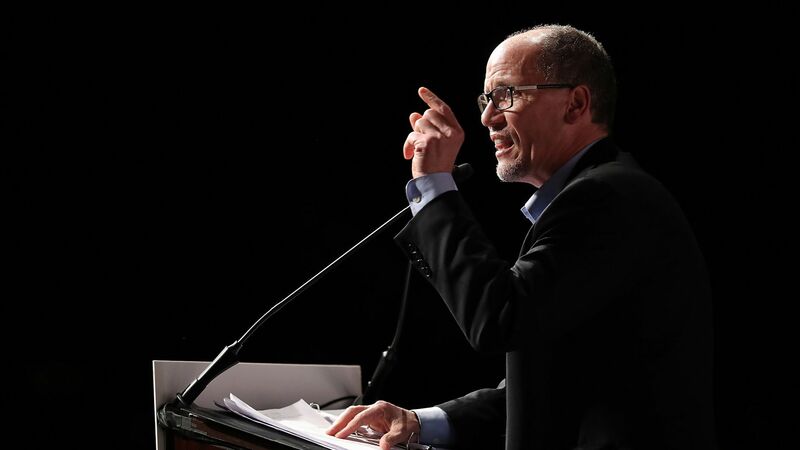 The Democratic National Committee will now accept donations from fossil fuel workers and "their unions' or employers' political action committees" after voting to pass a new resolution on Friday, The Hill reports. Why it matters: DNC Chairman Tom Perez said the new resolution allowing the donations "was a commitment to organized labor," per The Hill. Critics say this is a reversal of a resolution from June, which banned donations from fossil fuel companies and associations. The new resolution shows the limits of the democratic party’s growing left-most wing pushing aggressive climate and energy policies. "We have to draw the line that we are indeed a party of a big tent where all working people are welcome. We’re not a party that punishes workers simply based on how they make ends meet. ... At the same time, we remain committed to the Democratic Party platform, which states unequivocally our support for combating climate change." The DNC told Axios in a statement: "After hearing concerns from Labor that this was an attack on workers, this resolution acknowledges the generous contributions of workers, including those in energy, who organize and donate to Democratic candidates. As stated in our platform, the DNC believes that America must be running entirely on clean energy by mid-century, and any review of our current donations reflects that commitment." The other side: One co-author of the earlier resolution said before the vote on Friday, per The Hill: "I am furious that the DNC would effectively undo a resolution passed just two months ago just as the movement to ban fossil fuel corporate PAC money is growing (and Democrats are winning)."